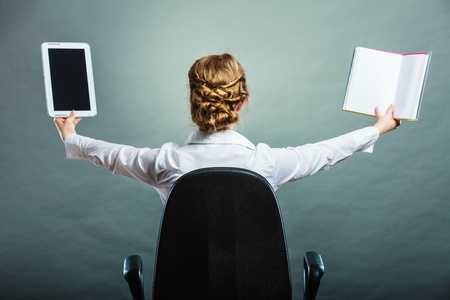 So many of your customers are simply not ready to "go paperless." Therefore, though printed marketing materials are expensive and inefficient, they are still vital to marketing efforts. In a world where your customer's journey may involve multiple channels — including social-media sites, physical stores, websites and mobile apps — the challenge has been to maintain brand and message consistency across all channels. This has become increasingly difficult to accomplish, especially when prices, products or campaigns change frequently. Printed materials can be outdated before marketers can get them into the hands of customers. Even seemingly minor changes can generate issues while more significant alterations can condemn your printed materials to the shredder. "We've Got It!" is an online retailer of books, software, art supplies, photography equipment and musical instruments. John is a returning customer who opted in for your newsletter, identifying himself as a freelance writer. According to John's purchase records, he buys a lot of history books as well as "how-to" guides related to the art of writing. During his current session, John has read the reviews for several grammar guides. In today's society, the line between the digital and physical worlds has become increasingly blurred. Often, marketers must coordinate an online, multichannel world and physical locations, such as brick-and-mortar stores. Sitecore PXM allows you to generate price signs for your retail locations that are consistent with all the details that appear on all your digital channels.